Heavy air pollution caused by PM2.5 had been hovering all over Bangkok at hazardous levels. The toxic air trended to increase drastically. 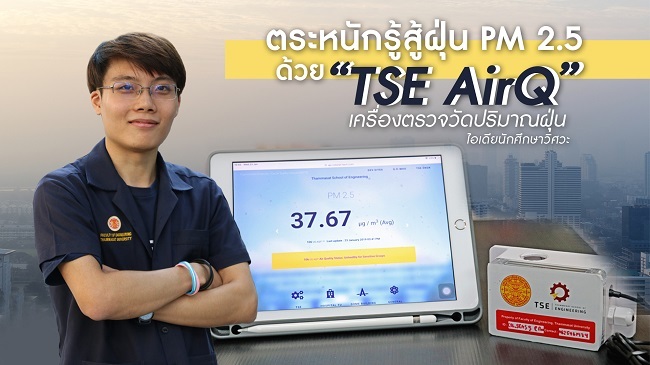 Since a lot of reports regarding levels of PM 2.5 might not be able to cover thoroughly in multiple areas around Bangkok, “TSE AirQ” (TSE Air Quality Indicator) was invented and developed to report the actual levels of PM 2.5 at Thammasat University. This TSE AirQ was invented by “Top” Promsurin Phutthammawong, the third-year student of electrical and computer engineering under the supervision of professor Watchara Amasiri of Thammasat University. 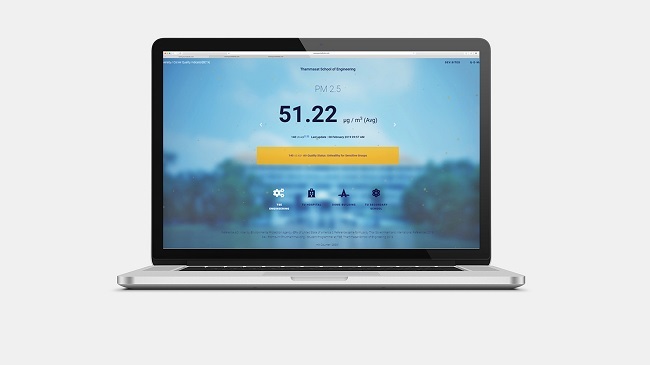 Therefore, everyone can check the accurate levels of PM 2.5 around Thammasat University areas at http://airq.colonel-tech.com. 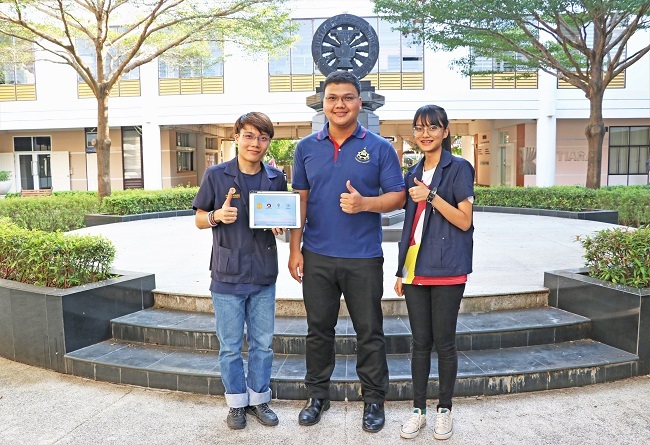 Currently, there are four indicators installed in four different places of the university: Faculty of Engineering, Thammasat Hospital, Dome Administrative Building and Thammasat Secondary School. In the future, Top aims to install more TSE AirQ indicators at all Thammasat campuses including Tha Pra Chan, Pattaya and Lum Pang campus. He hopes that his invention will raise awareness on the dangers of hazardous air pollution among students, professors and every staff in the university, and also will be helpful for researchers who want to further this knowledge.